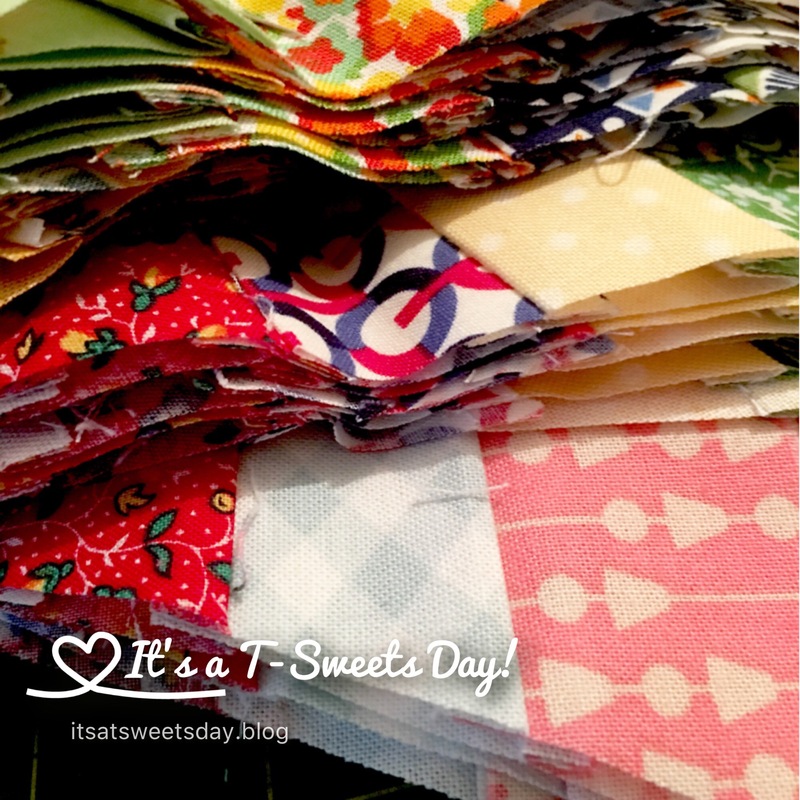 Scrap-Happy March–Maple Leaf Rag Quilt – It's a T-Sweets day! 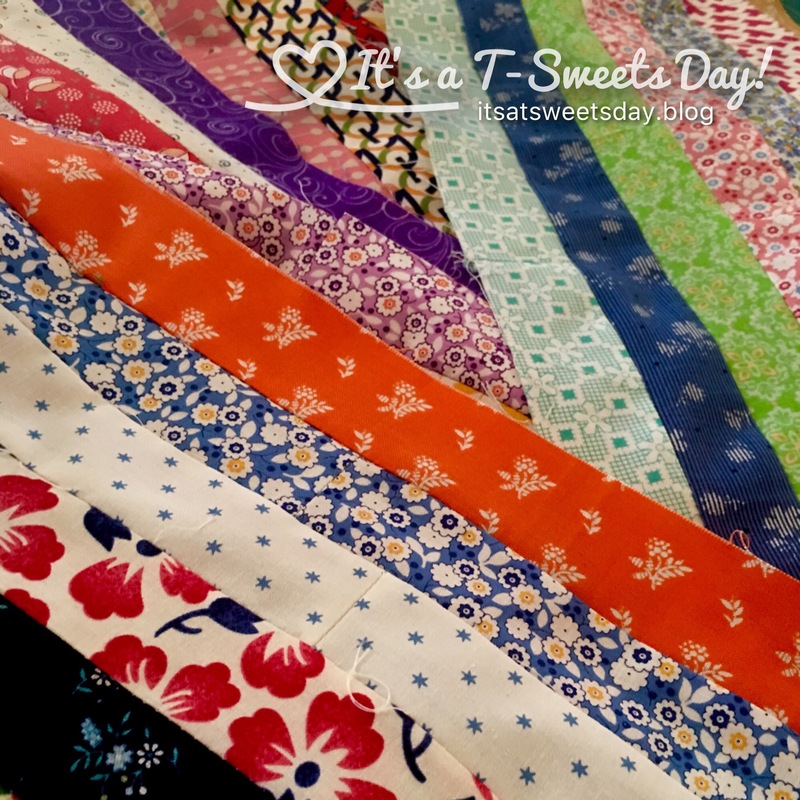 Published on March 15, 2017 March 12, 2017 by Tracy @ It's a T-Sweets Day! It’s that Scrap Happy time again:). 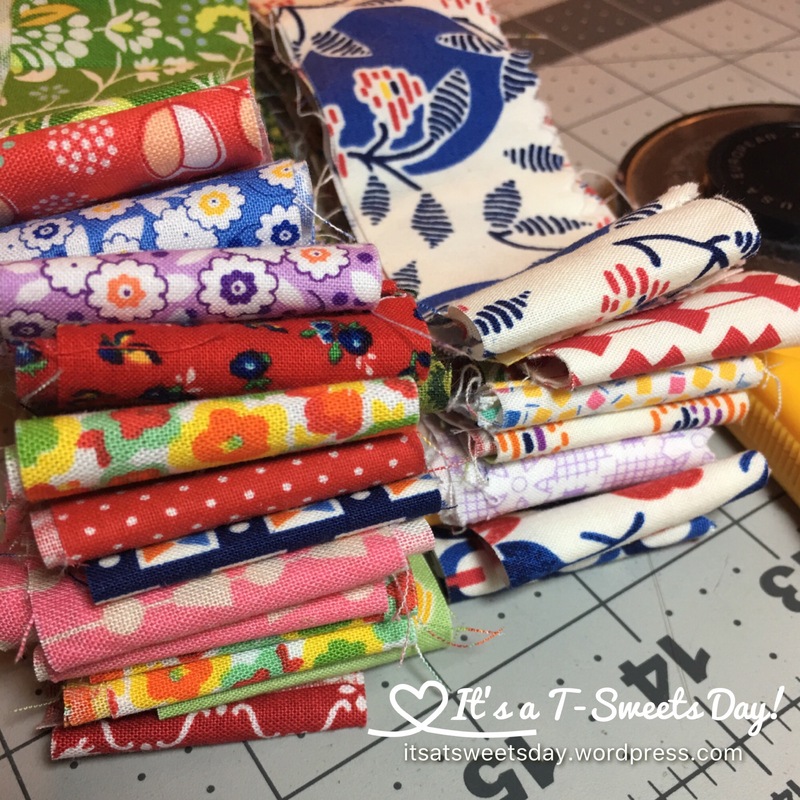 I always look forward to linking up with Kate and Gun on their monthly Scrap Happy challenge. 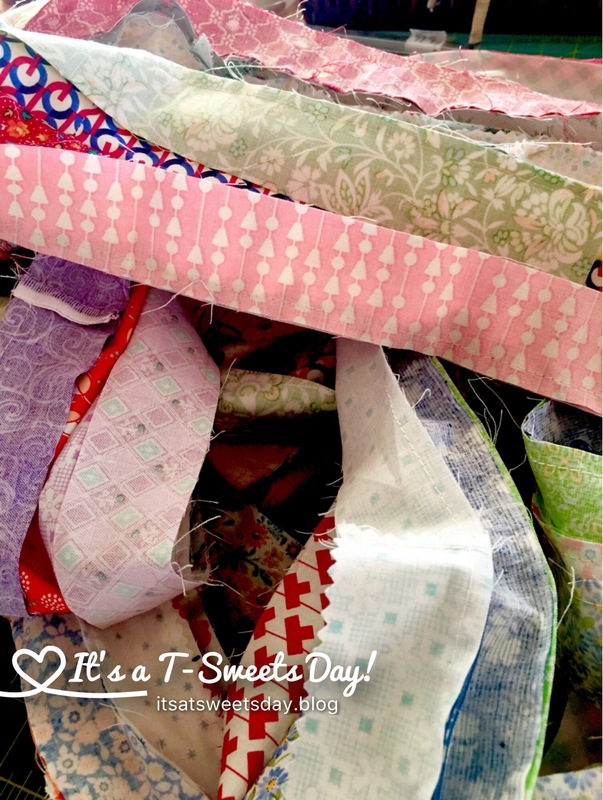 I love to see how everyone is using their scraps and making beautiful things. 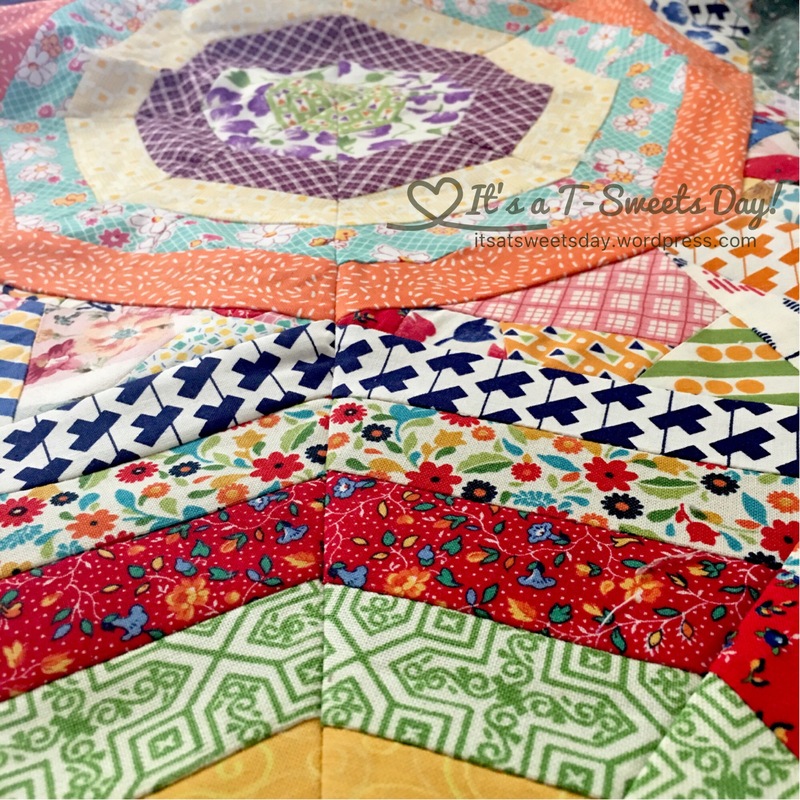 I really feel Scrap happy today because my Maple Leaf Rag quilt is FINALLY feeling like I might have it under control. The last time I posted about my progress it was a five steps backward day. But that day of preparation has set the groundwork for the rest of the quilt. Yea!! I opened my Maple Leaf Rag scrap box, and there were my nice and orderly 1.5″ strips that were all cut to the right length this time. A quick press at the ironing board, and I had 10 long, beautiful strips in no time. I hope that will be enough, but I can always sew more if needed. I was able to get two full sets of 8 triangles from each strip. I cut one direction, and then flipped my wedge ruler and cut the other. Easy! I have enough for 22 webs. Next month I will work on the crazy patches so I can start sewing them all together. I just love it! 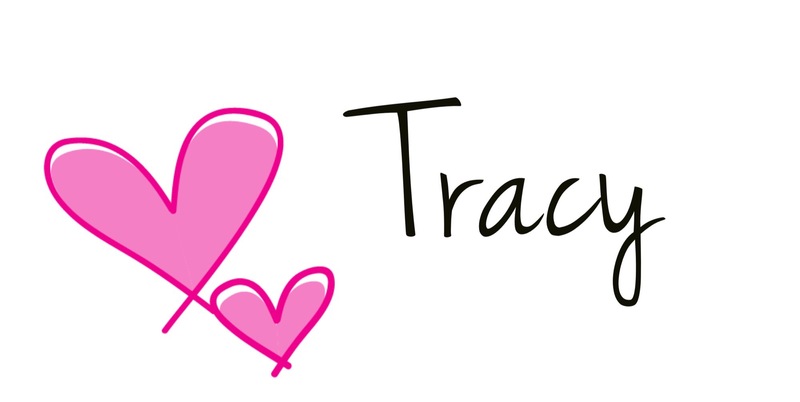 That’s looking very nice Tracy! Yes, it is! What a great way to use those strips. I have a box of all different colors that I am not sure how to use, and this could be the answer. Thanks!